That's it for us today. 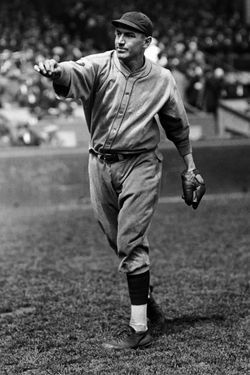 We're cutting out early to get a head start on the long weekend, but we leave you with one final Turkey Day–related link: Value Over Replacement Grit's All-Thanksgiving team, featuring outfielder Turkey Stearnes, catcher Yam Yaryan, third baseman Pie Traynor (pictured), and others. On that note, have a great Thanksgiving, and we'll see you Monday.